Maria has an extensive background in the Executive Search industry. She worked for and managed staffing firms throughout her career as well as holding a position at Fico in San Diego, CA, recruiting mid to senior level passive candidates. Maria’s success is based on building relationships with hiring managers and candidates to understand both needs in order to make the right fit. Maria specializes in a variety of industries such as Financial Services, Computer Software, Energy, Construction and Manufacturing. She is very accustomed to partnering with other type industries as well. Before starting Maria’s career in the Recruiting industry, she worked in Financial Services for 8 years as a Trainer, Project Manager and was part of different management teams. 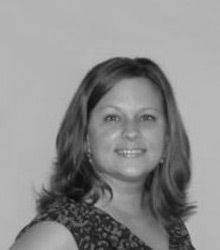 Maria received her Bachelor’s degree from Ramapo University in 1995.